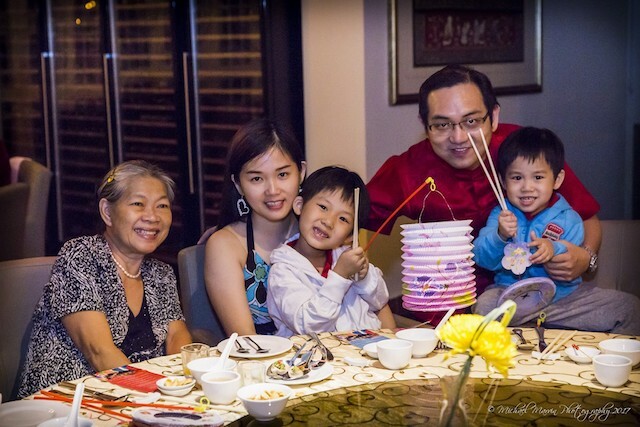 It was a privilege for the family and I when we were invited to Ti Chen, The Saujana Hotel Kuala Lumpur the other to savour some really good Cantonese noms. 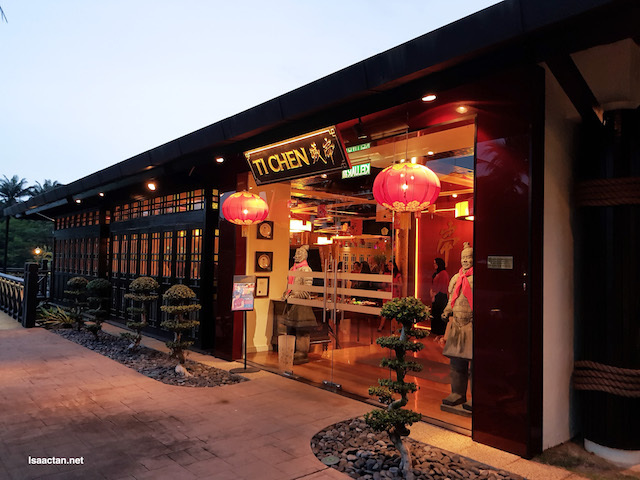 Saujana’s Ti Chen is famous for its wide repertoire of Cantonese dishes that are both exquisite and authentic. 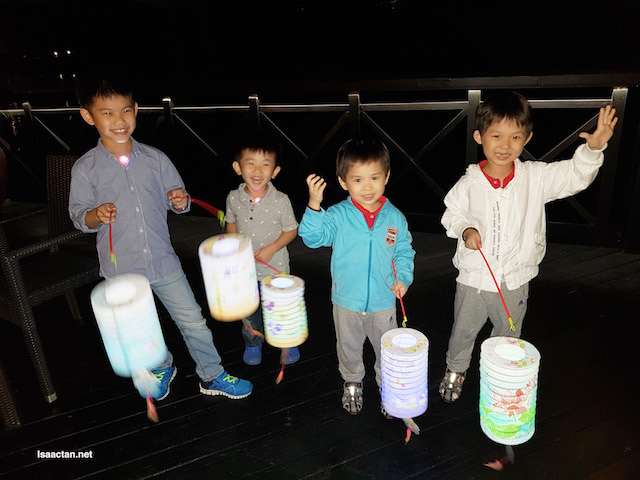 It was in conjunction with the end of the mooncake festival as well as the appointment of new executive Chef for its Chinese restaurant, Chef Lim Chee Woi. 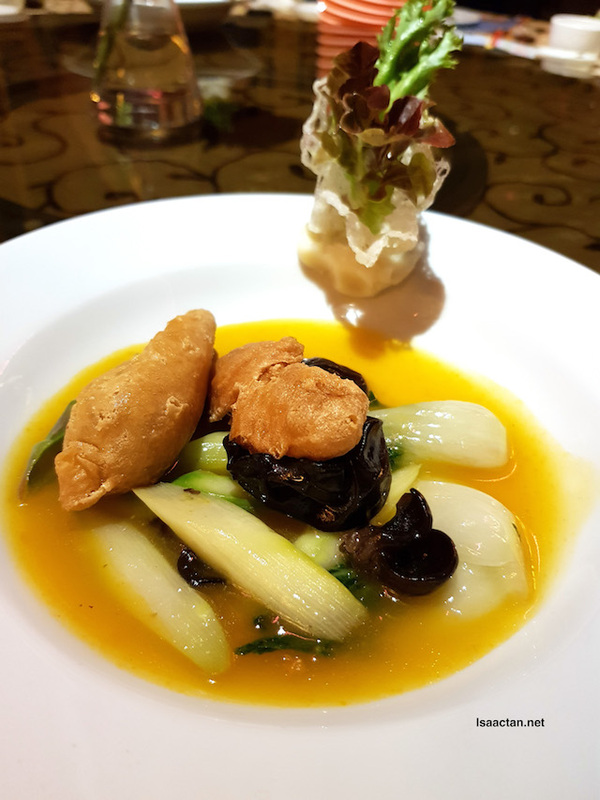 Saujana’s Ti Chen is famous for its wide repertoire of Cantonese dishes that are both exquisite and authentic. After years of Chef Sam Lu’s lead, the hotel group recently appointed a new Executive Chef for its Chinese restaurant, Chef Lim Chee Woi. 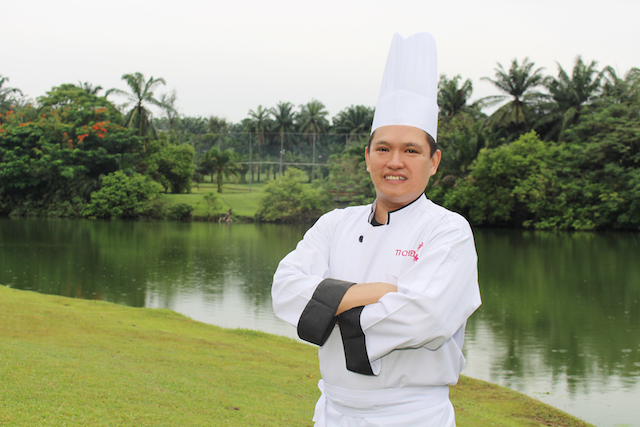 Chef Lim has over 20 years of culinary experience and kitchen management in establishments that include world-class hotel and resort chains in his home country Malaysia. Chef Lim will lead the team of passionate, specialised chefs who continue to create lasting memories for guests at Ti Chen, the hotel's award winning Chinese restaurant. Let the Full Moon Feast begin! 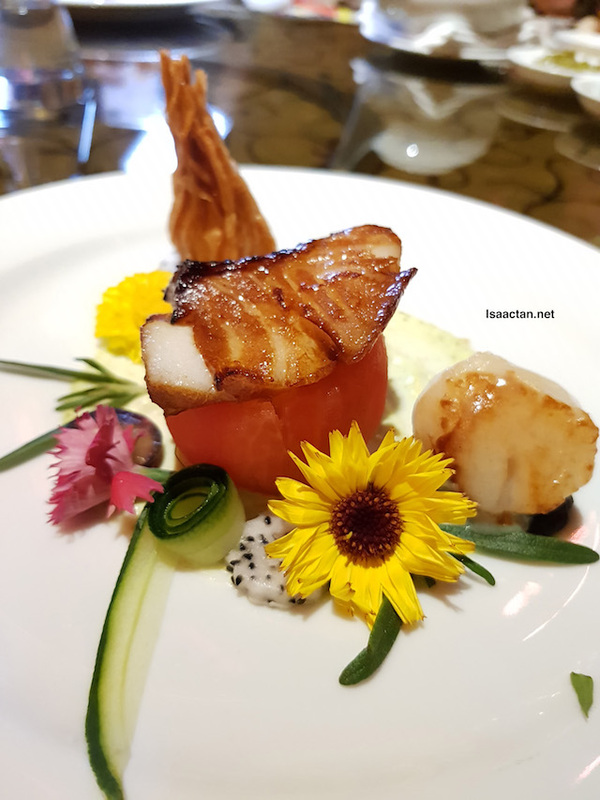 Before our sit down dinner, there were canapes going around ranging from the delectable chilled foie gras with rice biscuit, chilled tomato cherry with pomelo and chicken roll with emeral ginger sauce. I refrained from taking too much, as I know more awesome dishes will be out. I was right. We kicked off with the Three Hot and Cold Dish Combination, an amazing combination of deep-fried golden crispy prawn ball with honey baked cod fish on top. At the side, they had these rather big pan-fried scallop with fish paste. It's real good, with some fruity flavours inside as well. 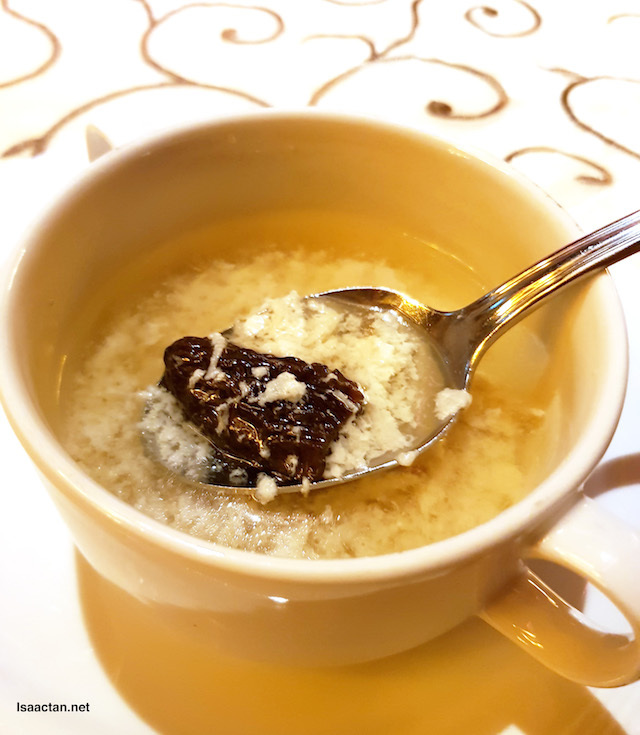 The subsequent soup, a hot bowl of Double Boiled Chicken Soup with Morel Mushroom did warm our mouth and tummy for nicer noms to come. What's interesting about the soup this time around was the fact the chicken has been finely blended in, to a point it mixes into the soup. Up next! The oven-baked Fresh water prawn with butter and garlic! We each got a single portion serving of every course, very fine dine type of experience indeed. 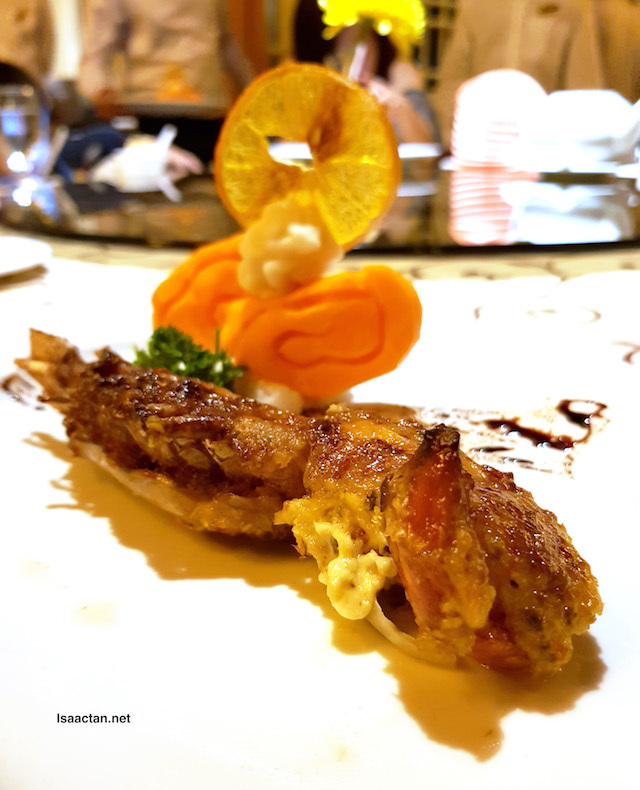 The Oven-baked fresh water prawn with butter and garlic served was just exquisite, one whole piece all ready to be savoured. There's a strong garlic flavour to the dish, so if you're a big fan of garlic, this will be right up your alley. 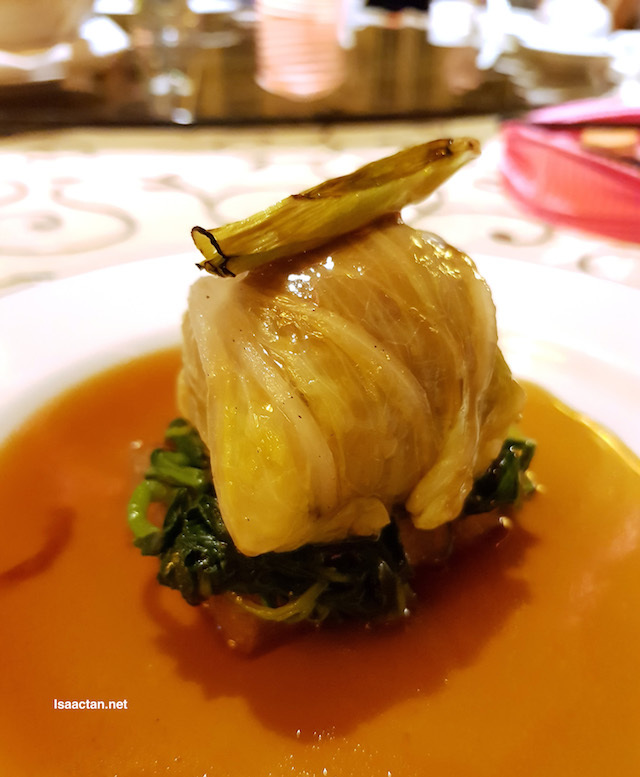 Braised Chicken “Lion Head” with leek and spinach, the name itself got me excited, to know whats inside that wrapped cabbage. It was a whole piece of yummy and tasty chicken meatball inside. The Poached Wild Dungus with Asparagus and Hong Kong cabbage in premium stock did not disappoint, exactly what I needed for a dash of greens in my diet. If you think the usual fried rice at the end of the meal is too mainstream, you're right. Chef Lim whipped up a rather unique and different type of rice dish towards the ending of our course dinner. 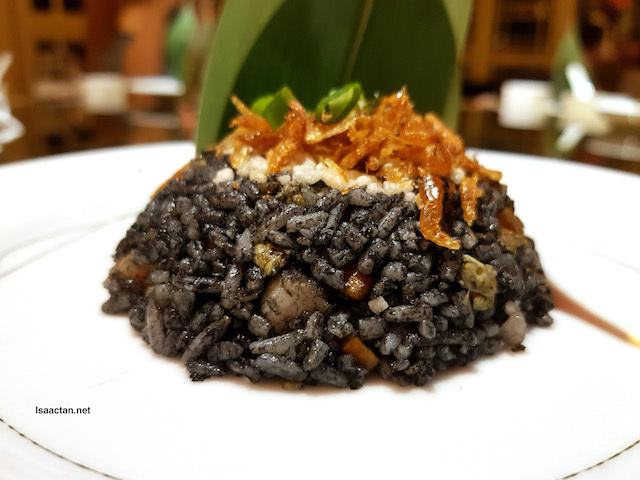 Sakura Prawn Fried Rice with Assorted Seafood and Crispy Rice in squid ink, now that's a mouthful to type out, but the taste was exquisite! Love how the flavours of the finely diced prawns combined with the flavours and taste from the squid ink. Yum! It has been a while since I last had a Salted Egg ice cream. Each time I have this flavoured ice cream, it's bound to satisfy me. The Salted Egg ice-cream with Tsubu-an and Cashew nut was served in this rather nice glass cup, with generous portions of the ice cream. Nice, but if you're adverse to the heavy flavours of salted egg, then the taste may be a tad overbearing. 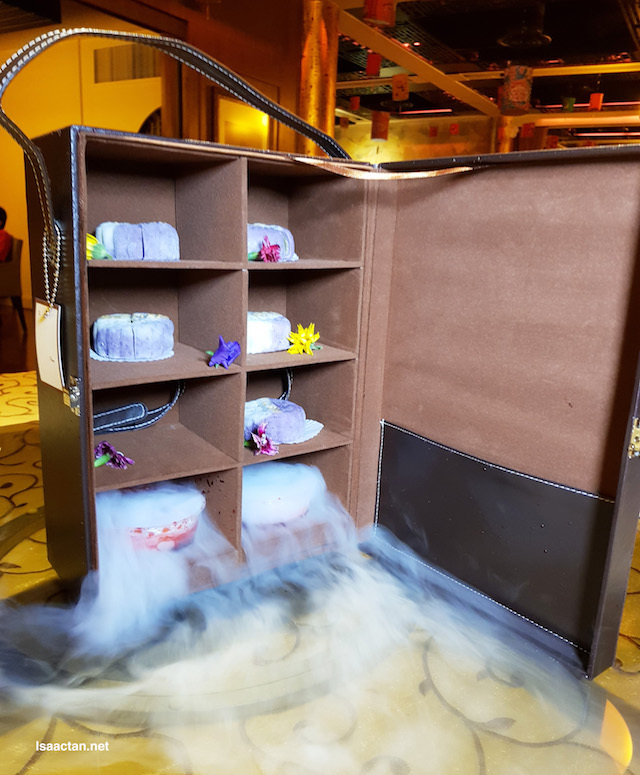 The Snow Skin Mooncake with Chocolate and Blueberry mooncakes were presented in a beautiful briefcase, with multi-tired levels. When it was brought out to our table, the presentation was nice, complete with dry ice and all. 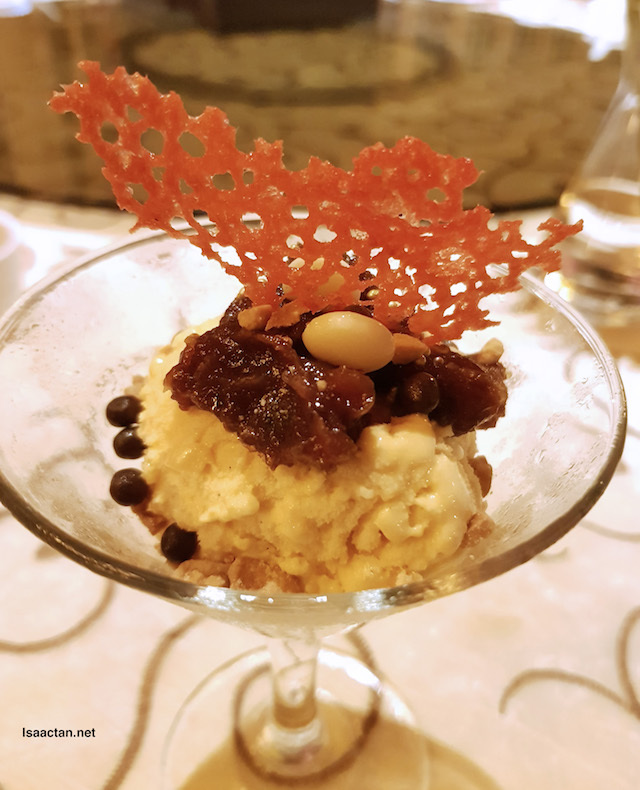 This makes for a really sweet end to our exquisite dinqner at Ti Chen, The Saujana Hotel Kuala Lumpur. 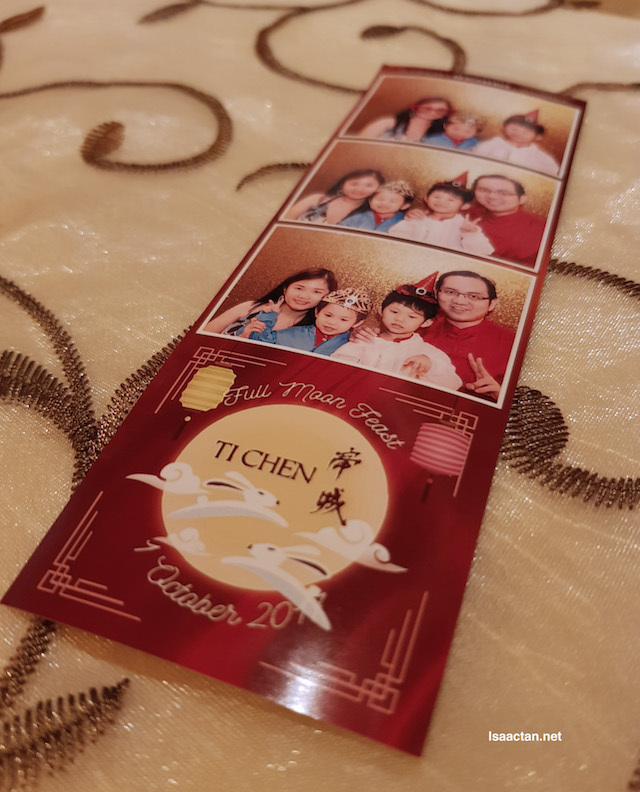 “This year promises to be another sensational year for Ti Chen. With Chef Lim and his expertise on board, we look to build upon our previous success and maintain our position as the home of authentic Cantonese cuisine,” said Vice President of Operations, Saujana Hotels & Resorts, Mr Peter Hourigan on Chef Lim’s appointment. You guys look like you had a blast! 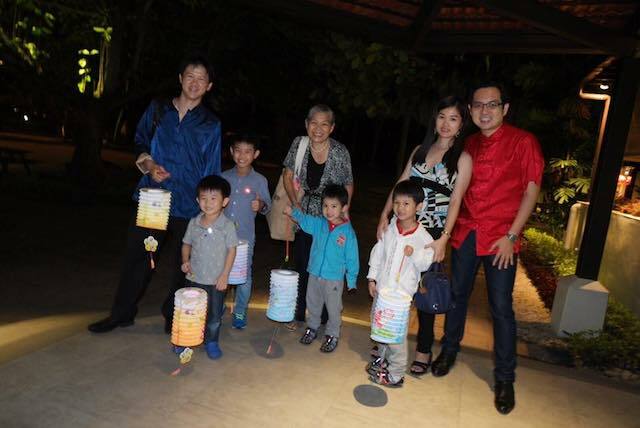 The one names snowskin mooncake seems interesting..
such a lovely family photo. good place to be visited for family outing. Wah... the Sakura Prawn Fried Rice with Assorted Seafood and Crispy Rice in squid ink I like.. Look so special. 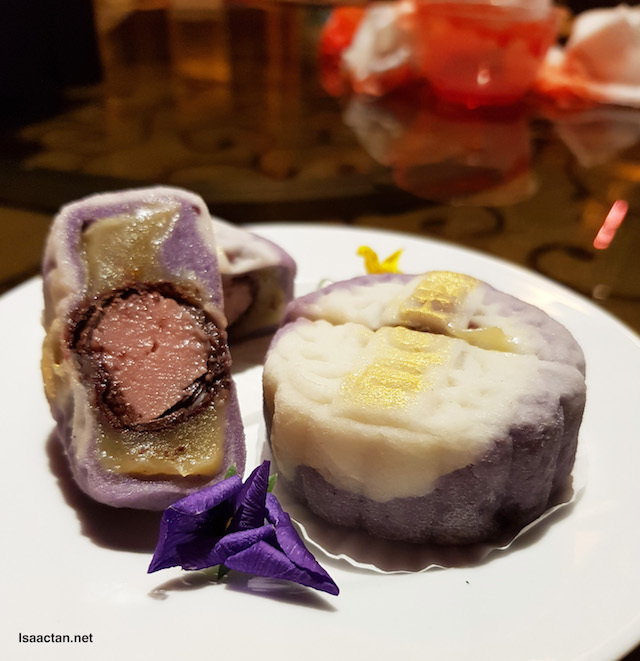 Snow Skin Mooncake with Chocolate and Blueberry also special. Such a good place to visit. What a meaningful dinner this must have been for the family. I am impressed by the Snow Skin Mooncake with Chocolate and Blueberry. Have never seen anything like this before! The food so yummy. Attracted by the mooncake.